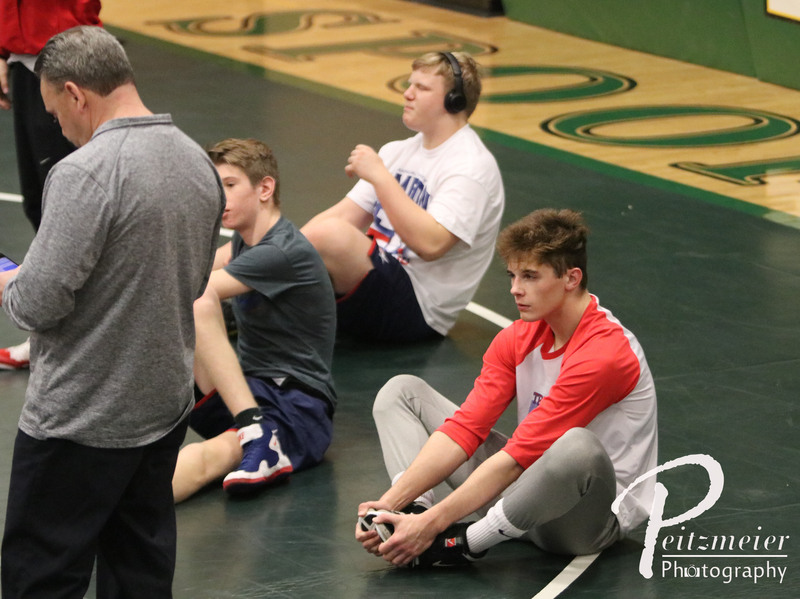 On Saturday, January 27th, 2018, the Patriots made their annual trip to Maryville, Missouri for the Quad States Classic. Teams from four different states were represented in this tournament – Nebraska, Iowa, Kansas, and Missouri. The Patriots were looking to get out of Nebraska after a two-week span of very tough tournaments. Although this year, the depth of the teams were not great, there was still plenty of competition in each weight class. 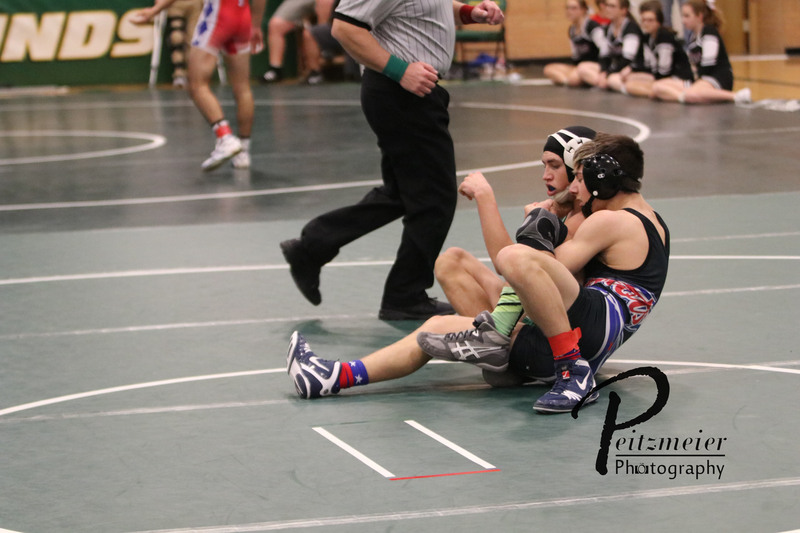 The Patriots were able to get 13 of the 14 wrestlers into the Finals of the tournament! 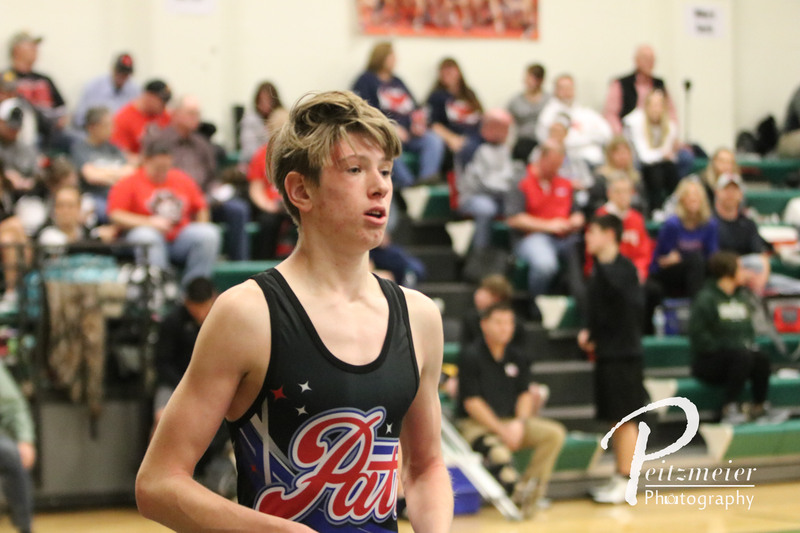 In the Finals, Caleb Coyle got the Patriots started off with a hard-fought decision over fellow freshmen, Bryce Shaha (35-3) by a score of 7-5. Blake Jackson followed that up with a decision of his own over Tanner Dalinghaus (36-4) of Lathrop by a score of 4-0. Conor Knopick would get in on the winning ways with a major decision over Andrew Beane (40-3) of Lathrop by a score of 13-0. 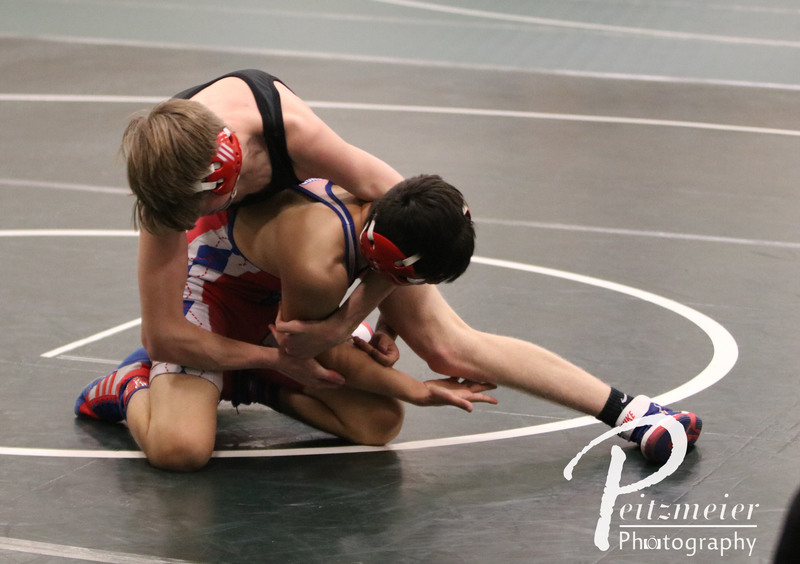 Garrett Carbullido would try to make it 4 in a row for the Patriots in his match at 126 pounds. 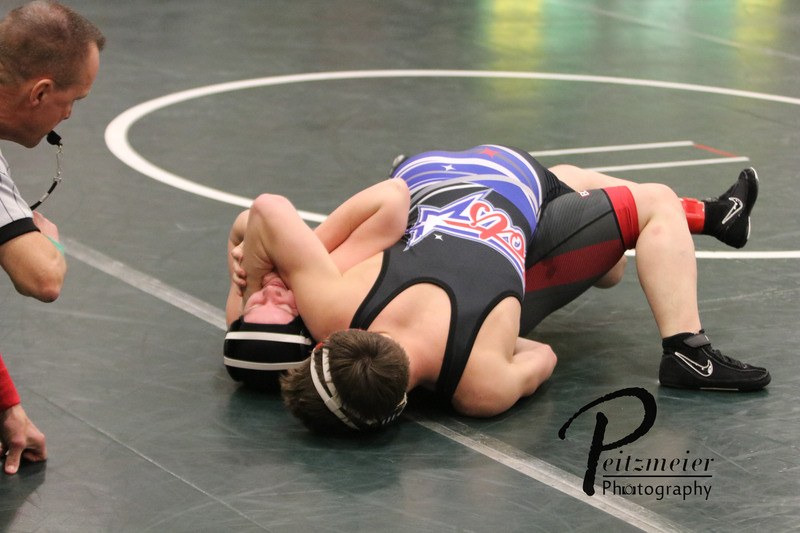 He used an escape and a reversal to get ahead of Kade Wilms (20-13) of Maryville and would win by a score of 3-2. 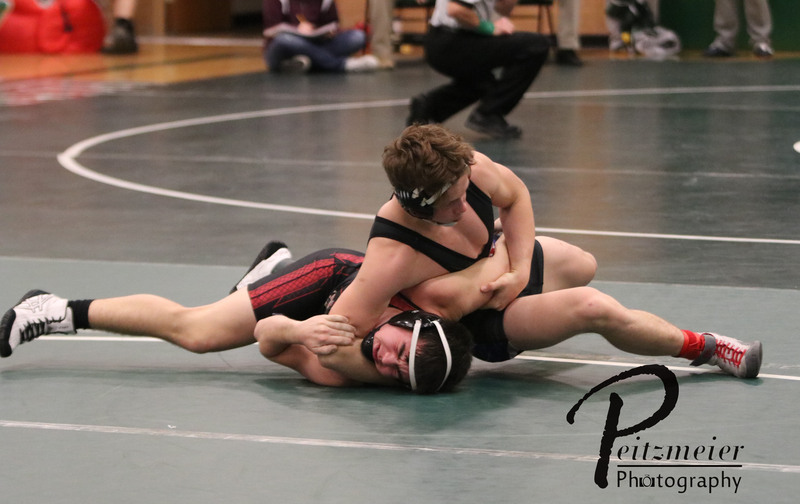 Not to be outdone, Alex Vacha won by a decision of the same score against Kade Kennedy (21-5) of Plattsburg. Next up, Blake Smith pinned Klayton Kennedy (22-13) of Plattsburg in the first period. Garett Svoboda kept the finals winning streak alive by pinning Gage Rush (16-9) of Plattsburg in the first minute of the match. 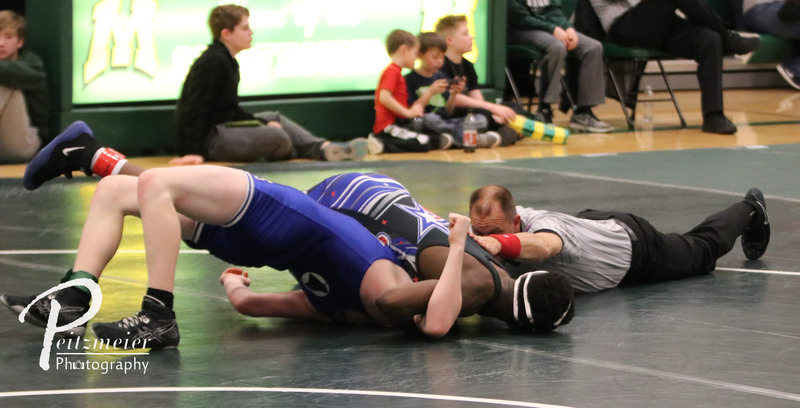 Isaac Trumble also had a first period pin in his match against Drew Perez (25-6) of Bishop Miege. Krew Tran was the last of the Patriots to win his finals match. 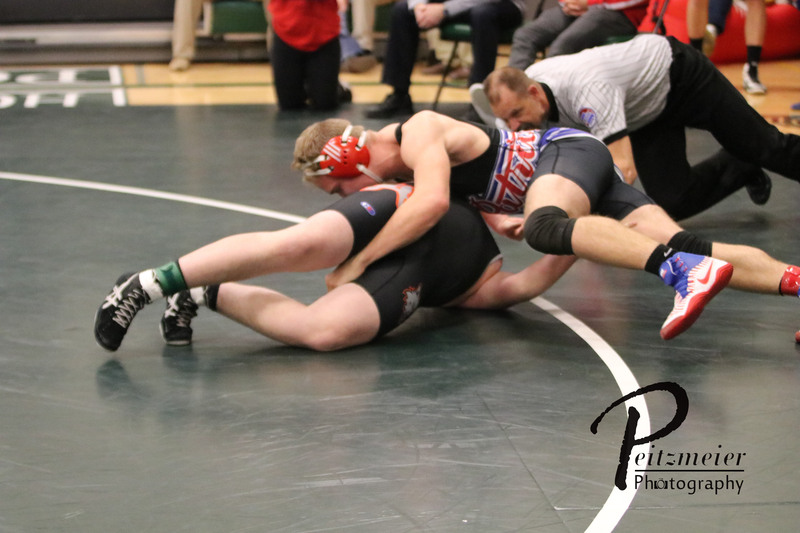 Wrestling up at 195 pounds, Krew was able to win a close decision over Brenden Christensen (31-3) of Bedford/Lenox by a score of 5-4. 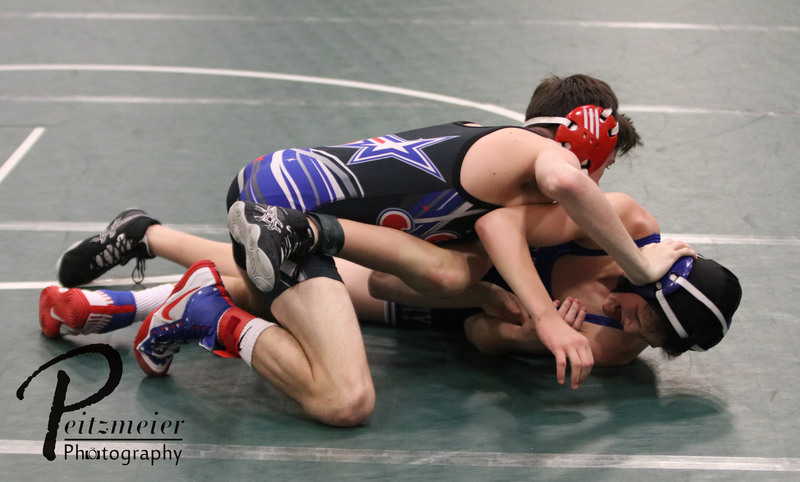 106 – Caleb Coyle (37-3) placed 1st and scored 21.50 team points. 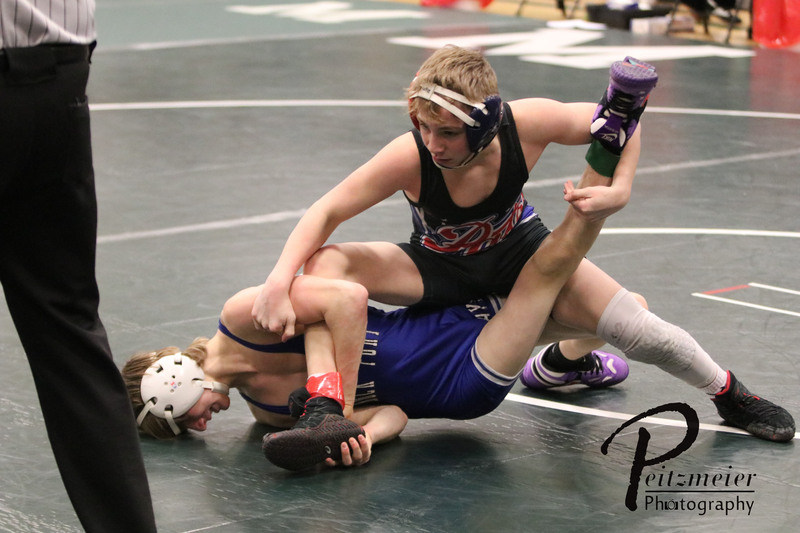 113 – Blake Jackson (37-4) placed 1st and scored 22.00 team points. 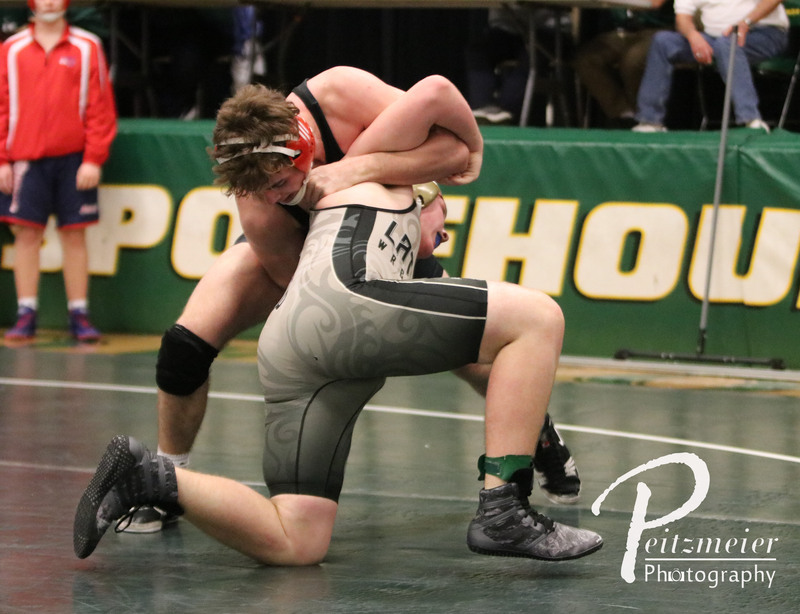 120 – Conor Knopick (37-1) placed 1st and scored 20.50 team points. 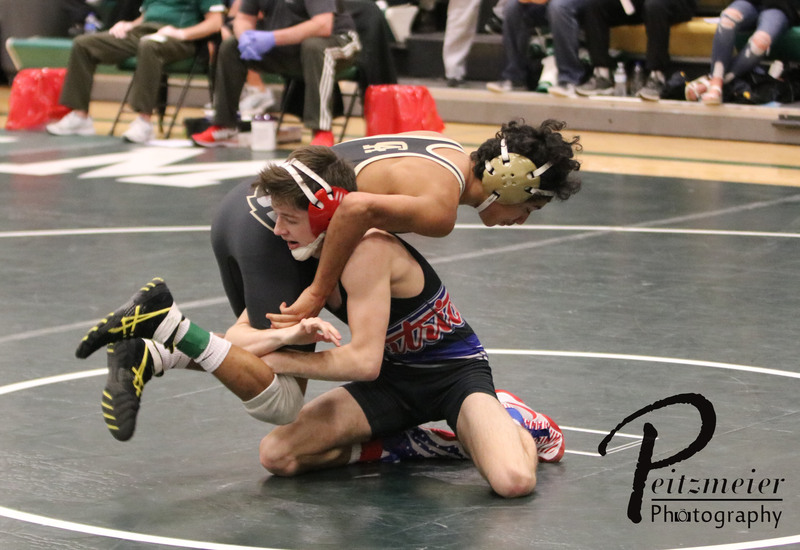 126 – Garrett Carbullido (23-10) placed 1st and scored 18.00 team points. 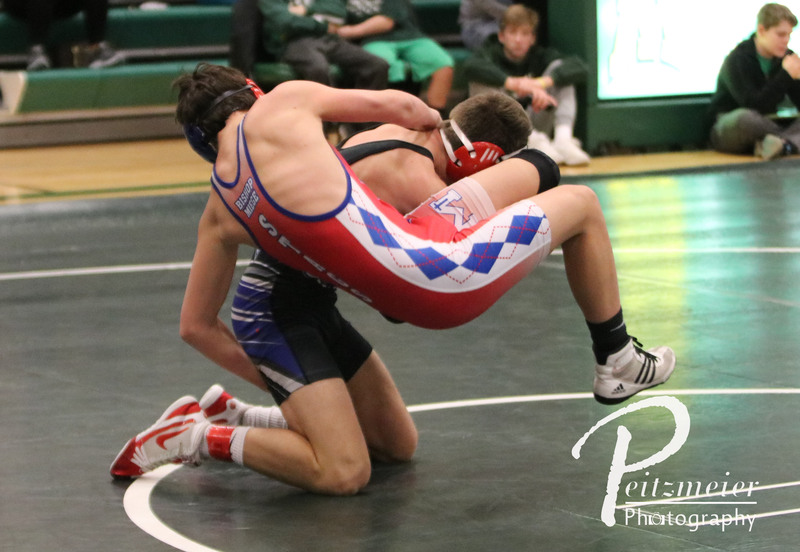 132 – Alex Vacha (28-13) placed 1st and scored 22.00 team points. 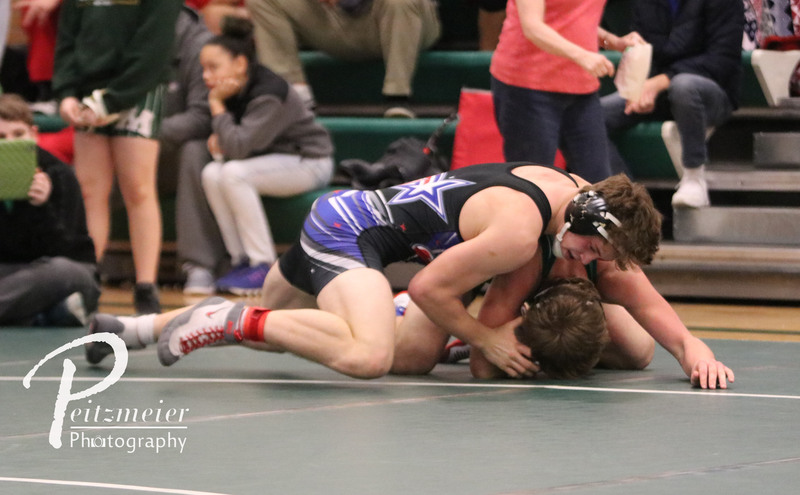 138 – Blake Smith (32-9) placed 1st and scored 22.00 team points. 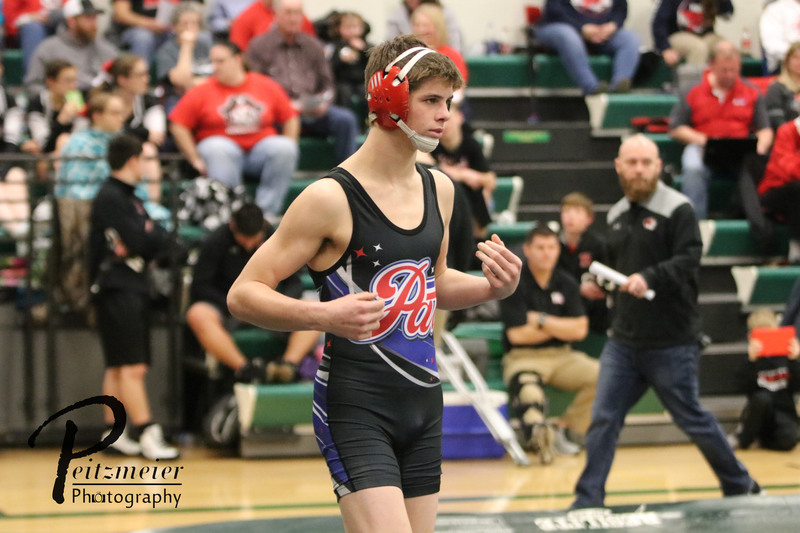 145 – Garett Svoboda (34-7) placed 1st and scored 22.00 team points. 152 – Alfonso Cunningham (23-7) placed 2nd and scored 16.00 team points. 160 – Isaac Trumble (40-0) placed 1st and scored 22.00 team points. 170 – Josh Trumble (23-11) placed 2nd and scored 16.00 team points. 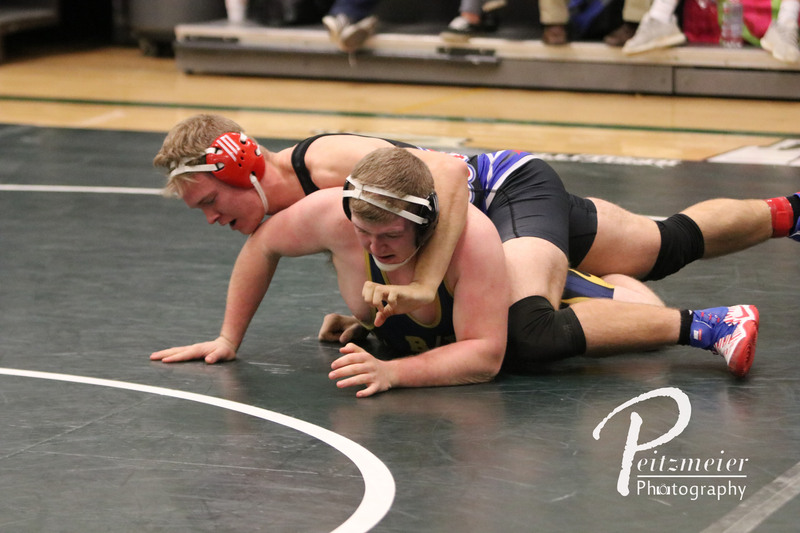 182 – Chris Wortman (27-14) placed 2nd and scored 14.00 team points. 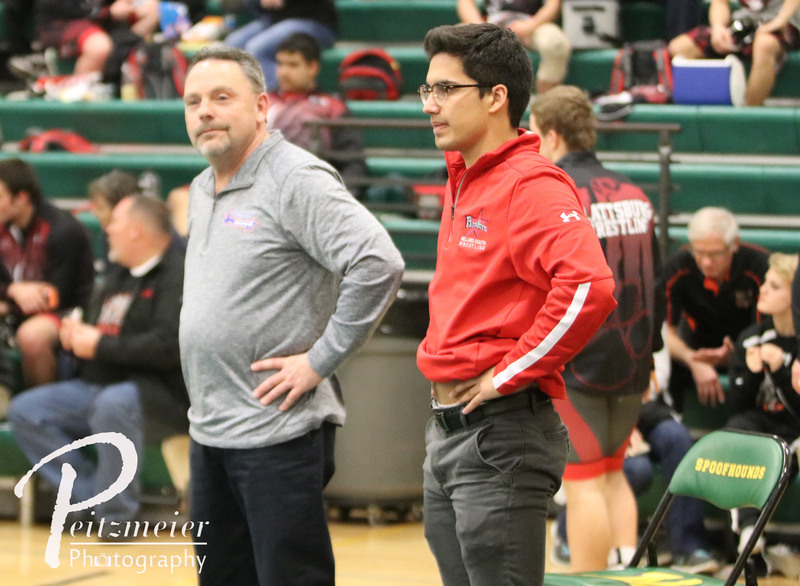 195 – Krew Tran (21-17) placed 1st and scored 20.00 team points. 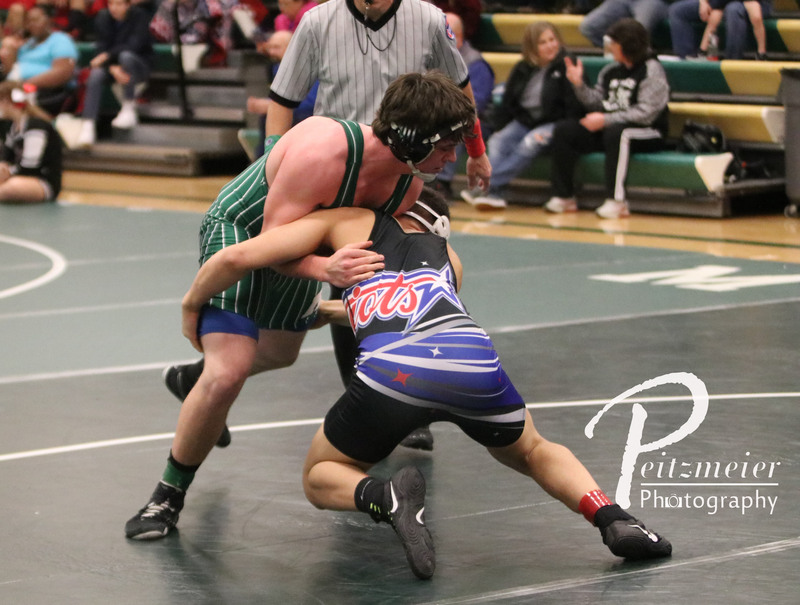 220 – Gavin Peitzmeier (36-4) placed 2nd and scored 20.00 team points. 285 – Jake Mayville (23-15) placed 3rd and scored 12.00 team points.